how to replace brake pads For Dummies please.. with pictures? Ive looked throughout the forum and owners group for a How TO on changing the pads... should I just look it up on YouTube, or is there a better way? Re: how to replace brake pads For Dummies please.. with pictures? Welcome to the COG Forum. By joining the club you can get more access to shared reference material that other, more qualified, people have posted here. 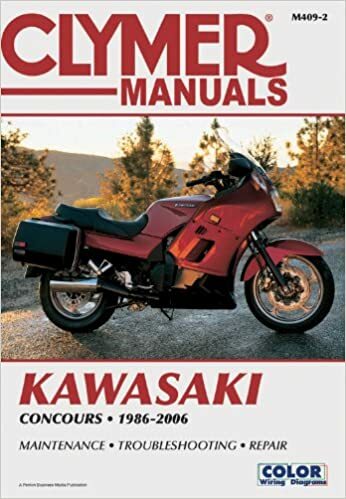 That said, you might check out your public Library to see if they have a Clymer's manual for the Concours. Maybe the Library has reciprocal lending with another Library that shelves the Clymer manual. Only $32 on the Amazon website also. There should be some nice Cogger in FLA nearby who would be willing to stop by your place and help out - heck, i'd do it if I didn't live on the other side of the country. One of the fun parts of it is making sure all the bits and pieces stay in position when refitting the calipers. While you are in there, it's likely time to lubricate the caliper sliding pins and if the brake fluid is looking yellow or darker, flush/bleed the brake fluid. Do the clutch system brake fluid also. Use the search function on the forum and read up on bleeding the clutch/brakes because it's not all that easy to get the air out of the banjo bolts. Also read the opinions on which brake pad compound will suit your needs the best - aftermarket stuff is likely cheaper than OEM. You might want to plan on rebuilding the calipers at the same time. It is very hard to clean all of the dirt and gunk off the exposed pistons with them installed. If you just push them back in they may stick from the left over dirt or corrosion on the pistons and lock your brakes on. The pistons must move freely for the backup seals to be able to pull the pads off the disc when you release the lever. If you have done car disc brakes you shouldn't have any problems. Pistons should push in by hand, if not rebuild ,clean, new fluid, and bleed. particularly the 6 bent tabs in relation to the caliper and pads. Where are you located? You've quite a few highly experienced C-10 guys in Florida. Post your general vicinity / town and you might get a bite. Good folks all around you. The Concours Owners Group probably has more members in Florida than any other state. I joined 5 years ago in Oregon (Northwest Area) and have met some of the nicest people I've ever had the pleasure of knowing. Consider checking out the activities on the rides and rallys part of the forum, and event calendar for your area. Coggers are happy to share their knowledge. Ride safe.